Thank you for reading this week’s news from the JHB Middle School. It has been a great week of learning as we completed the month of April and head into a busy month of May (as you will see from highlights below). Our students are in the home stretch of the school year and as I have written before, the end of term coincides with lots of projects and assessments coming due as teachers collect final evidence of student learning. Please keep apprised of due dates by checking Finalsite, asking your child to show you teacher OneNote pages, and checking your child’s School Planners. Good studying routines at home also help as do a good night’s sleep, a healthy diet, and exercise to help relieve stress. This can be a stressful time of the year for students so thank you for your support in helping our Middle School learners be successful. Service Learning Celebrations. All throughout the coming week, AISJ will be having our first ‘Service Celebration’. Through this event, students from all divisions (K – 12) will creatively communicate and demonstrate their learning gained through their involvement in the years’ service projects. Throughout the week various samples of student activities and projects related to service will be on display in the Teaching and Learning Centre. These could include anything from photographs, videos, slideshows, artwork, and other media. The opening of the Celebration will occur on Thursday, May 7th from 3pm – 5pm in the ‘Teaching and Learning’ courtyard. During this time, student representatives from all divisions will share some personal reflections on their service experiences. Some other students who have work exhibited, will also get the opportunity to showcase their learning through communication and demonstration at this time. We encourage all members of our community to come and learn, celebrate, be motivated, inspired and challenged by what our students have achieved and learned through service this year. Support Staff “Thank You. This week, all parents were sent an email regarding this event. On Thursday, May 7th, the Middle School will be thanking the support staff here at the Johannesburg campus with cookies and cards. The students are making the cards during Imbizo and we are asking each student to bring in a pack of cookies which will be included in trays that will be brought to each department on the morning of Thursday, the 7th. Since we will be making the trays on the afternoon of Wednesday, the 6th, we are asking the students to bring in the cookies at the very latest Wednesday morning. We are very grateful for the hard work and efforts of the many people who help to make AISJ such a great place for the students, and we very much appreciate your support in our endeavors to thank the staff, and welcome any cookies that you send. The Middle School Play – Romeo and Juliet. It’s show time! Our Middle School thespians have been working extremely hard as rehearsals culminate in the coming days and we get ready for “Romeo and Juliet.” We will stage three performances of this show. A special matinee on Friday, May 8th at 3:00 p.m. where students can attend the show for half-price, followed by an evening performance at 7:00 p.m. The final show will be at 2:00 p.m. on Saturday, May 9th. All shows will be in the FAC and tickets continue to be sold in the Middle School Office. The price for tickets will be 50 Rand, with the exception of the half-price matinee on Friday, which will sell for 25 Rand. We look forward to a strong show of support of our Middle School actors and actresses as well as to pay tribute to Drama Teacher and Director, Ms. Lani, who is directing her final show at AISJ. The Principal/Counselor’s Workshop on Tuesday, May 12th at 8:00 a.m. in T & L 1. This workshop will focus on our newly restructured Advisory (Imbizo) program for the 2015-16 school year. Parents will be led through an interactive exercise that will mimic the Imbizo experience for Middle School students next year. Ms. Leet and I will also highlight some of the programmatic changes to the Middle School curriculum next year as well. We hope to see many parents in attendance. The final Middle School Social of the year will be held on Friday, May 15th. The social is sponsored by the Middle School Student Council and will be held on campus from 7:00 – 9:00 p.m. Bus transportation will be provided to and from the social for all registered bus riders. The week prior to the social, students can sign up for bus transportation in their Advisory. The social will be chaperoned by AISJ teachers and administration and feature food, music, and fun. Measures of Academic Progress (MAP) Testing Parent Forum on Monday, May 18th at 2:00 p.m. in T & L 1. 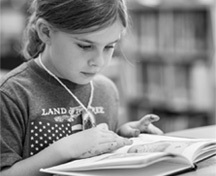 We have completed our second round of MAP testing for all three grade levels and on May 18th, parents attending the informational forum will receive their child’s MAP results and learn more about the interpretation of the testing data. Grade 8 Promotion Night: On Thursday, May 28th we will pay tribute to our 8th graders as they complete their Middle School experience. We will celebrate their accomplishments with a ceremony and party at the Indaba Hotel. Students received invitations last week and are meant to return RSVPs and payment for tickets to Ms. Ilona in the Middle School Office by May 14th. Middle School Gold Reef City trip on Thursday, June 4th. An annual ritual in the Middle School is the trip to Gold Reef City. Soon students will be bringing home permission slips and information related to the trip. The cost of the trip is 150 Rand per student and includes admission to the amusement park and a t-shirt. Please be on the lookout for this information in the coming weeks. As is the nature of international school communities, each year we must say goodbye to families and students who will be moving on to new schools and new adventures. If you have a student in the Middle School and your family is departing at the end of this school year and you have not yet notified the Middle School Office, please do so as soon as possible. You may simply send a short email to the Middle School Principal at aferguson@aisj-jhb.com. Knowing about departing students in advance helps us to help pave the way for a smooth transition as well as compile important documents. Thank you for your assistance with this. The list below highlights other upcoming events for the last five weeks of the school year. May 15 JHB MS Social from 7:00 – 9:00 p.m. I wish all of you an enjoyable weekend ahead. Thank you all for your continued support of the Middle School.